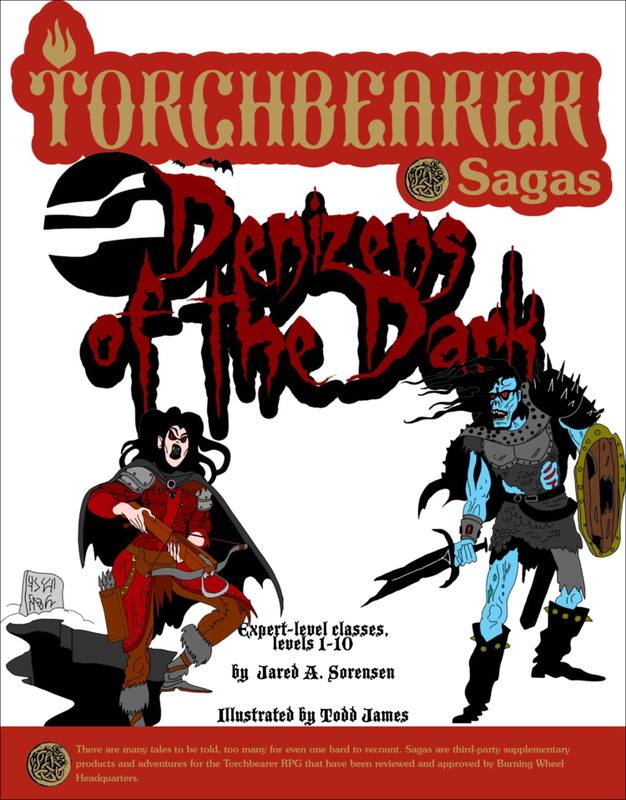 Just in time for Halloween comes Jared Sorensen’s latest Torchbearer Sagas supplement, Denizens of the Dark! Death knights, goblins, witches and more are playable characters found within the 30 ghoulish pages, along with new monsters in the form of the Vampire Lord and its bloodsucking minions. All illustrated by Todd James.